Join us for Tucson Children's Museum's Earth Day 2019 and give that big blue marble a hug while you discover all the ways to help make your world a healthier, greener place to live. Learn about recycling and composting, the joy of gardening and the fun of getting out and enjoying nature. Or learn how to bring nature to your backyard with exhibits from local wildlife groups. Mrs. Green and the MGW team will be there as well as exhibitors and activities outside the Museum for all ages. Adults with children are welcome inside the courtyard and the Museum for more kid-centric activities. 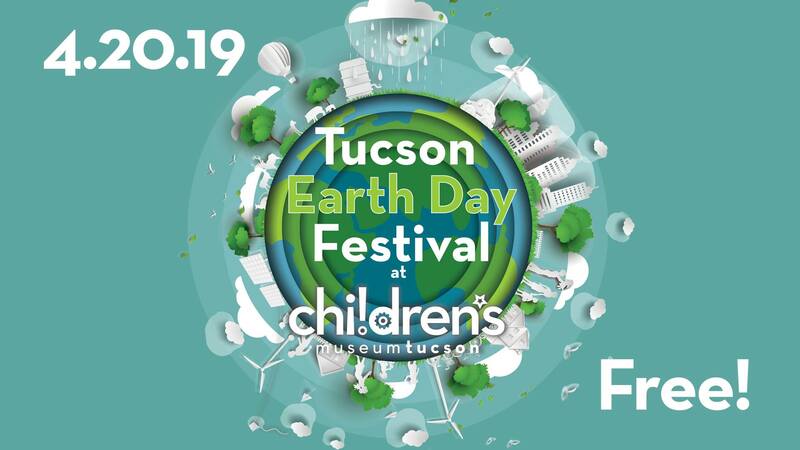 Tucson Earth Day Festival at Children's Museum Tucson is from 10 am- 2 pm, but admission to the Museum is free all day! Interested in being a vendor or sponsor? Visit ChildrensMuseumTucson.org/earthday for more information.